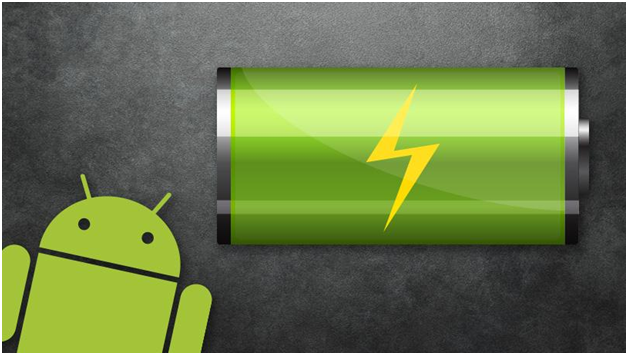 " 5 Best Android Apps for Boosting Battery life- --[Battery Savers] "
Battery life is one of the biggest issues in the Android devices, it could be either a phone or a tablet. The ordinary cell phones can give you the battery life for days, but the problem starts when you go for “Smart”. Now we are in the state that the best battery is one that have uptime of whole working day. It is pretty sad that now we only count hours of battery life rather than days. Do you want to make your battery stronger? 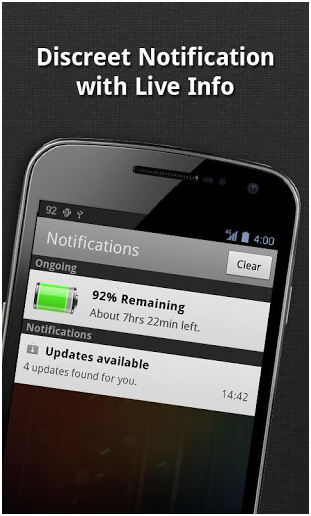 Dr.Battery can help you to save power.This app shows you the battery health,temperature,talk time etc and helps you to kill tasks quickly and reset your phone easily.This app offers some great features that include Power Management(Battery Management),Battery Notifier, Battery Monitor,Power Control,task killer. Easy Battery Saver is a powerful yet easy to use power manager app specifically designed to extend battery life and optimize using habit.This app saves your battery by intelligently dealing with phone’s network connectivity,screen time out and screen brightness. What’s more,the considerable sleep schedule setting will save your battery when you are sleeping. 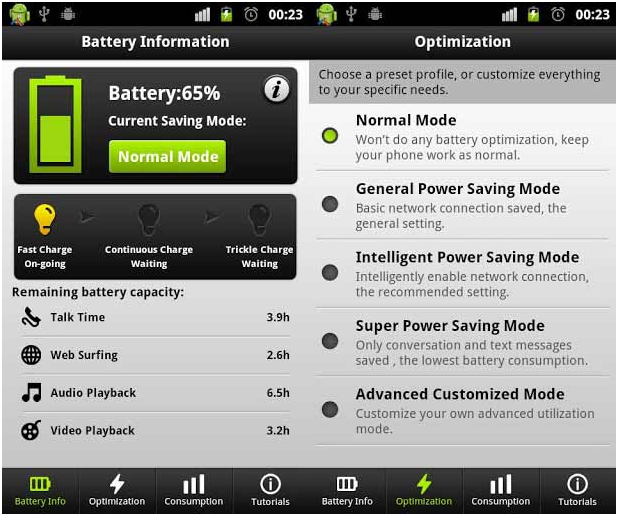 Easy Battery Saver is easy to use by four preset saving modes and advanced customized mode.Just choose one mode, the battery problems will go away. The name of the app itself is “Battery”. Battery is a small, sleek and elegant app that will help you follow the current battery percentage on your Android device,and even serve as a battery saver. battery consumption and data usage, but still keep the important background data synchronized. 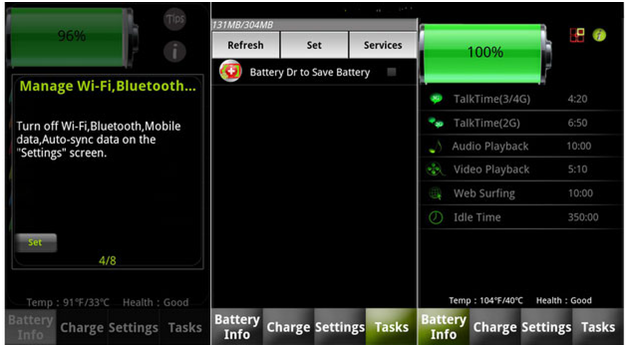 Battery Doctor is an Android Application that will help android users to Maximize the battery of life of their devices. 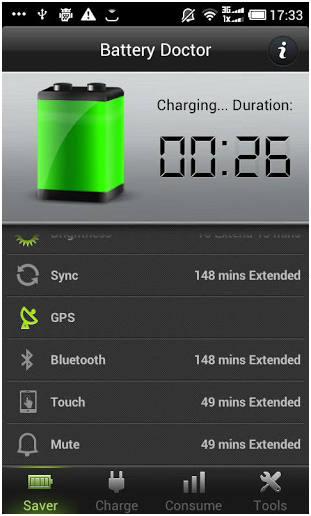 This application is very useful for people who have tried many other Battery Saver utilities. 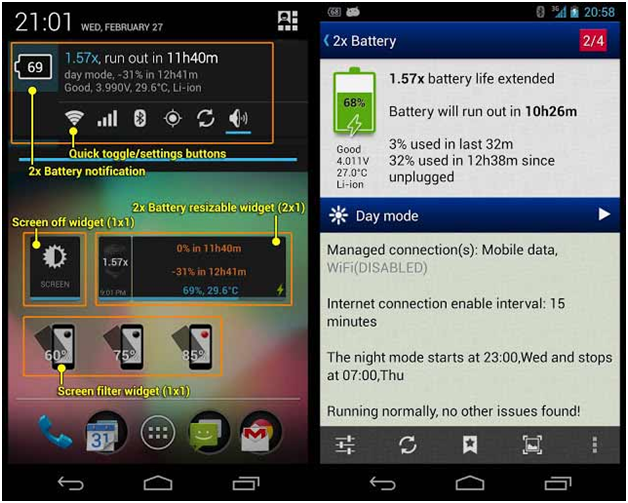 This battery Saver Application will show you the exact usage of battery power by apps and other different activities.